This Just Happened: Superman gets a Bizarre look into Bizarroworld! 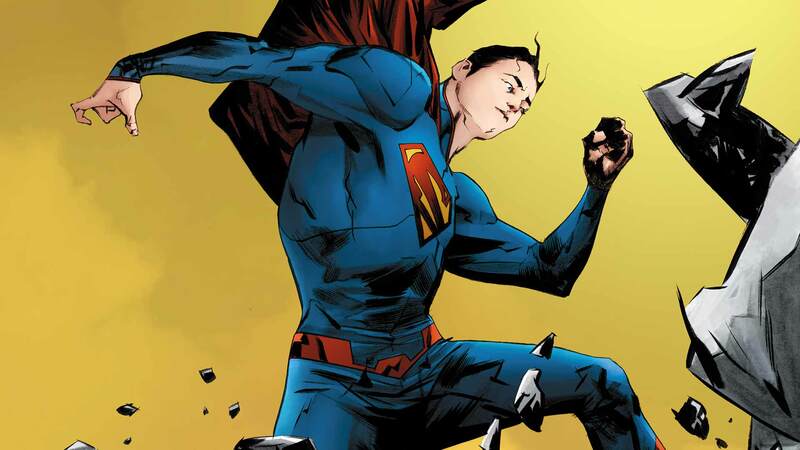 SPOILER ALERT: If you have not read ACTION COMICS #40 yet and do not wish to know what happens, stop reading this post now (major spoilers ahead!). In ACTION COMICS #40, Superman (for reasons unknown) has been traveling through The Multiverse and finds himself in a place he’d least expect, Earth-29: Bizarroworld. Having just arrived in the Bizarroworld - a world guided by opposites (i.e. “me am hate you so much” means “I like you”) - Superman is ready to restore order to the chaotic community. What he sees, however, stops him in his tracks: People are HAPPILY fighting, arguing and hurting each other. In fact, after taking a moment to observe the riots, Superman is able to see order in the chaos. Is this a strange world or what? Could this issue be a lead-in to the new Bizarro comic book series in June? Sound off in the comments below! ACTION COMICS #40, written by Greg Pak and illustrated by Aaron Kuder is available in stores now!